On January 13, 2017, ConocoPhillips, the world’s largest independent, announced a major Nanushuk Formation oil discovery, Willow, in their Greater Mooses Tooth Unit. 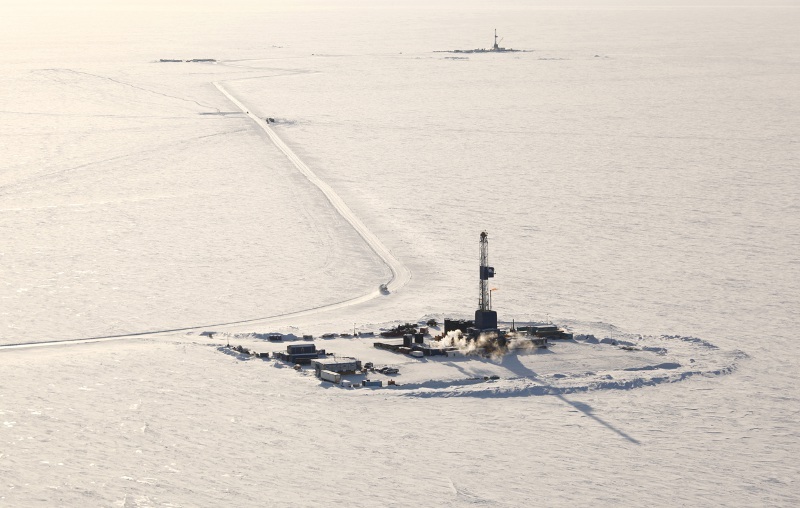 This find lies approximately 50 km south-west of Armstrong’s Nanushuk discovery, further substantiating the size of this new oil play on Alaska’s North Slope. 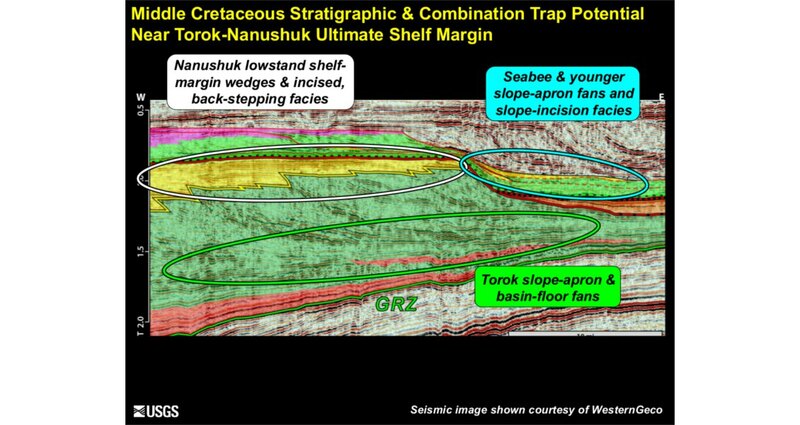 The second major discovery of 2016 was made by Caelus Energy Alaska in the Smith Bay area in the Cretaceous Torok Formation that lies directly below the Nanushuk Formation. Caelus claim the fan structure spans more than 777 km² and possibly holds over 10 Bbo. Both plays could extend well beyond the current discoveries and provide new exploration targets along the Arctic coast. Mention Alaska’s North Slope, and Prudhoe Bay, North America’s largest oil field, will certainly come to mind. Discovered in 1968, the field and its primary reservoir, the Triassic-aged Sadlerochit Formation, came on stream on June 20, 1977. The greater Prudhoe area has now produced over 13 Bbo. North America’s second largest oil field, Kuparuk, was discovered in 1969 with production commencing in 1981. These two fields have anchored development of the area, which now boasts more than 12 producing fields and over 17 Bbo total production. Now comes the bad news. 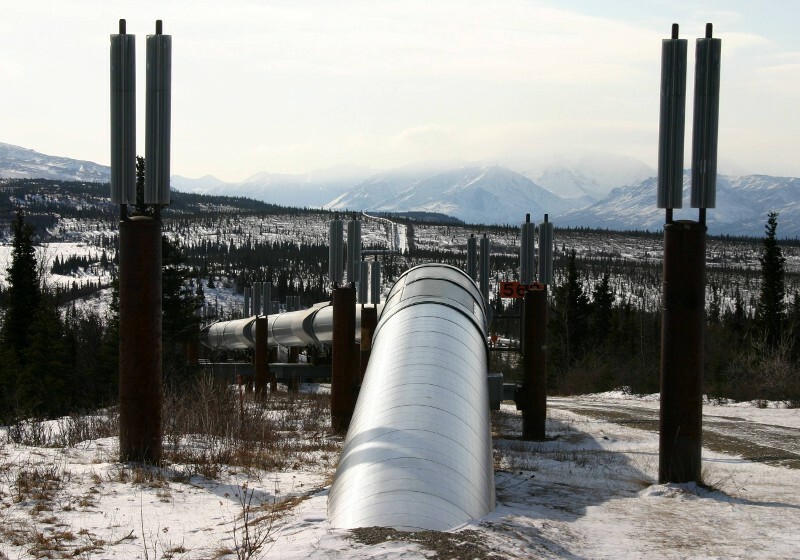 Oil production in the region has been declining since 1988 and the Alyeska Pipeline Service Company has identified potential low flow problems with the 48-inch (1.2m), 800-mile (1,287 km) Trans-Alaska Pipeline System (TAPS). The 2016 average throughput was 510,000 bopd, slightly up from the prior year. However, the US Energy Information Administration sees continued declining production from the North Slope and in a low oil price case, if the throughput goes below 350,000 bopd, TAPS could be decommissioned in less than 10 years. Early production estimates for the Nanushuk discovery and the recently formed Pikka Unit (a unit is a group of leases covering all or part of a hydrocarbon accumulation) indicate an output of 120,000 bopd by 2021. The Smith Bay discovery is much further from infrastructure and will take longer to come on line but Caelus estimate production from this field could be about 200,000 bopd. If all pans out, these fields will give TAPS throughput a much needed boost. Repsol E&P USA, as operator for Armstrong Energy, LLC and GMT Exploration, drilled the initial Qugruk wells, two with encouraging production tests and a third with hydrocarbons identified in multiple zones. 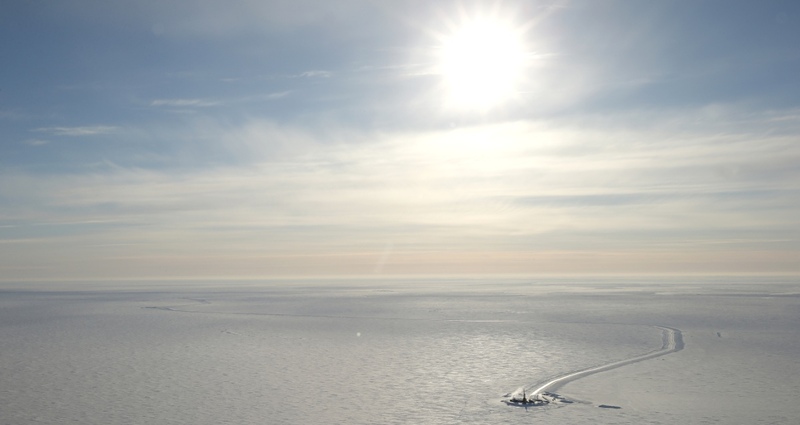 These wells, drilled during the short 2013 winter season when the terrain is frozen, reached depths of over 3,000m. Subsequent delineation drilling the following years confirmed the development potential of the area. A total of 16 positive wells were drilled during four winter drilling seasons. Good quality 30° gravity oil at rates as high as 4,600 bopd and relatively shallow depths make this find particularly attractive. North Slope stratigraphy is divided into four depositional sequences: from oldest to youngest, Franklinian, Ellesmerian, Beaufortian, and Brookian. Most of Alaska’s oil has been found in the Carboniferous to Triassic Ellesmerian reservoirs, including at Prudhoe Bay and seven other North Slope fields. Beaufortian strata record a rifting event and dates from early Jurassic to early Cretaceous. Reservoirs in this sequence are found at the Kuparuk and about ten other North Slope fields. The Cretaceous through Tertiary Brookian sediments prograded across Alaska North Slope, filling the Colville Basin. According to David Houseknecht, senior research geologist for the US Geological Survey and expert on Arctic Alaska petroleum systems, “It forms one of the world’s largest clinoform systems.” While oil and gas have been discovered in Brookian reservoirs, the only production has been from late Cretaceous and early Tertiary discoveries near existing infrastructure close to the Prudhoe Bay and Kuparuk fields. Before the recent oil finds in the Torok and Nanushuk formations, successes in these formations had been very limited. In exploring the National Petroleum Reserve Alaska (NPRA), the US Navy found a couple of small oil fields, one near the Simpson Bay oil seeps and another at Umiat in the Brooks Range foothills. Several small gas discoveries have also been made in the foothills. More recently, new oil pools have been found in existing fields in both the Torok and Nanushuk formations along with several discoveries near existing fields. Approximately 170 km up the coastline north-west from the Qugruk discovery, Caelus discovered a massive oil deposit in the Torok Formation that directly underlies the Nanushuk. Its two Smith Bay wells encountered 305m of oil with net pays ranging from 56m to 68m. The wells were not flow tested but extensive sidewall coring confirmed quality reservoirs with oils ranging from 40 to 45° API gravity. They estimate between 6 and 10 Bbo in-place. The company has been focusing on Brookian rocks in their exploration and development efforts on the North Slope. They have found Torok reservoirs at the Nuna development in the Oooguruk field located just east of the Pikka Unit, and have identified Brookian targets in their acreage holdings east of Prudhoe Bay near the Canning River. However, their Smith Bay discovery remains a major step out of the true and trusted reservoirs that have anchored North Slope production for so many years. The Armstrong and Repsol Nanushuk discovery wells Qugruk 1 and Qugruk 6 that have opened up an exciting new play on Alaska’s North Slope. (Source: Armstrong Energy, LLC) Caelus officials admit development of the Smith Bay field will be expensive because of its remote location. “It will cost $8–10 billion to bring this field on line,” says Musselman. “Field viability would require sustained mid-$60 oil prices and a future stability of Alaska’s fiscal system.” The company has not given a time line for development but state that once started, first oil is possible within five years. Being much closer to existing infrastructure, Armstrong is preparing to accelerate development of its Nanushuk discovery. The company is working on an Environmental Impact Statement and construction is expected to begin on its completion. Oil could start flowing in 2021. Development will include 150 wells drilled from three gravel pads, an operations pad, access roads, and various pipeline and connections to existing facilities. These two discoveries have both State and federal officials excited about the future. A joint State and federal oil and gas lease sale was held December 14, 2016. High bids for federal leases totaled $18.8 million compared to last year’s total of $790,000. ConocoPhillips bought most of the federal leases but had to outbid Armstrong Energy, LLC to get some of them. The State fared equally as well, seeing one of the most significant sales in nearly two decades. They received 402 bids and winning bids totaled nearly $17.8 million. As witnessed by the bidding, the companies are equally as excited as State and federal officials about the prospects offered by two new, potentially very extensive plays in spite of the current low oil prices. Certainly Alaska’s North Slope has not seen this kind of optimism for a long time. David Houseknecht of the US Geological Survey was an invaluable source of information for this article.